Marcia, Just ASK Senior Consultant, author, and adjunct professor at Virginia Tech, lives in Arlington, Virginia. Before she and her family returned to the D. C. area she worked for the School District of Palm Beach County, Florida, as an Area Director for School Reform and Accountability and prior to that was Director of Federal and State Programs. The latter department was responsible for the oversight of approximately 80 million dollars that supported 130 Title I elementary, middle, high, alternative, and charter schools. Before her work in Palm Beach, Marcia worked in Broward County Public Schools as the Principal on Task Assignment to design and support the plan for Superintendent’s Schools. In that position, she developed and implemented the School-Level Academic Review process to guide 50 schools in identifying and analyzing instructional and operational level factors affecting student achievement. Earlier, Marcia was principal of Jefferson-Houston School for Arts and Academics and Patrick Henry Elementary School in Alexandria City Public Schools, Virginia. During her tenure at Patrick Henry, she was named the Washington Post Distinguished Educational Leader of the Year. Other principalships include The American School of El Salvador, San Salvador, El Salvador, and Walnut Bend Elementary School, Houston Independent School District, Texas. Marcia writes the Just ASK monthly e-newsletter titled Professional Practices. In its third year of publication, this newsletter has explored the nuances and possibilities of the Educational Standards for Education Leaders which were published in 2015 by The National Policy Board for Education Administration (NPBEA), a consortium of professional organizations and replaced the well-known and highly respected ISLLC Standards published by the Council of Chief State School Officers (CCSSO). Professional Practices has garnered an impressive list of subscribers who are educational leaders in both K-12 education and higher education. Marcia is currently using her extensive experience and expertise and the research and writing she has done with the newsletter to write her first book Professional Practices for 21st Century Leaders which is scheduled for a spring 2019 publication by Just ASK. Marcia earned a Doctor of Education, Educational Policy and Administration, from the University of Minnesota, a Master of Education, Educational Administration, from the University of North Texas, and a Bachelor of Science, Special Education, from Syracuse University. She is currently serves on the Syracuse University School of Education Board of Visitors. Marcia is conversationally fluent in Spanish, collects Caldecott Award books, and is an avid gamer. Subscribe to Professional Practices. Contact Marcia at Marcia@justaskpublications.com or 800-940-5434. Heather, Just ASK Consultant and author, lives in Webster, New York, a suburb of Rochester. She is the principal of Mendon Center Elementary School in Pittsford Central School District, New York. Previous principalships include two schools in the Greece Central School District, New York. In 2005 Longridge Elementary School where she was principal was recognized by the NY State Department of Education as a high-performing/gap-closing school and as a high achieving school for English Language Learners. Earlier Heather was a teacher and curriculum leader for English Language Arts in the award-winning West Irondequoit Central School District where she did extensive professional development work in the areas of standards-based planning, differentiation, and ongoing assessment. Heather is a co-author of Creating a Culture for Learning and author of the Just ASK e-newsletter Making the Common Core Come Alive! Her book Great Mini-Lessons for Teaching Genre Writing was published by Scholastic. Heather earned a Master of Science in Special Education from Nazareth College, Rochester, New York and a Bachelor of Science in Education from West Virginia University. She holds certifications in New York state as a school district administrator and supervisor, elementary education, and special education. Contact Heather at heather@justaskpublications.com or 800-940-5434. Mike, Friend of ASK and NETS-T Evaluator and Consultant, James Madison University, lives in Fredericksburg, Virginia. He recently retired from Alexandria City Public Schools (ACPS), Virginia where his most recent position was Technology Integration Specialist at T.C. Williams High School. Prior to that, he was an instructional technology resource teacher and math teacher in ACPS and Easton, Massachusetts. Mike was also the Lead Mentor at Hammond Middle School in ACPS where he annually recruited and trained cadres of over 20 mentors who in turn supported 20 to 25 new teachers each year. Mike made a presentation titled TIPS to NETS*T: Bringing Professional Development Together at the ISTE Annual Conference in Philadelphia, Pennsylvania. In this session, he explained the development of TIPS (Technology Integration Practical Strategies) and how ACPS developed a summer workshop that uses face-to-face, blended learning, online learning, and collaborative teams. He and Kyle Dunbar made a presentation titled Targeting Student Results with NETS*T at the ISTE Annual Conference in Denver, Colorado. As a certified NETS*T (Educational Technology Standards for Teachers) evaluator, Mike and two colleagues have led two cohorts of ACPS teachers to NETS*T certification and three hours of graduate credit from James Madison University. Mike completed the Johns Hopkins University (JHU) Graduate Certificate Program in School Administration and Supervision. Watch a digital story produced by Mike as part of his work in that program on YouTube. He earned a Master of Education in Mathematics and a Bachelor of Arts in Mathematics from Boston University. 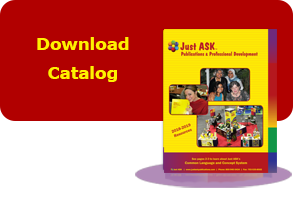 Contact Mike at mike.disalvo@justaskpublications.com or 800-940-5434. John, Just ASK Consultant Emeritus, lives in Newburyport, Massachusetts. During his years as a Just ASK Consultant, John worked with districts in Massachusetts, Rhode Island, and New York where he led the workshops Leading the Learning®, Instruction for All Students™, and Meeting the Needs of Diverse Learners®. His work in K-12 education included 19 years as principal of Hamilton-Wenham Regional High School, Hamilton, Massachusetts, followed by two years as interim principal of Newburyport High School, Newburyport, Massachusetts. Prior to becoming a principal, he was an assistant principal for three years and teacher of mathematics for 14 years in Massachusetts and Washington, D.C. John has served as a member of multiple New England Association of Schools and Colleges (NEASC) evaluation teams and as an Executive Board member for the Massachusetts Association of Supervision and Curriculum Development. He holds a Bachelor of Arts in Economics and a Master of Arts in Mathematics Education from Catholic University of America, Washington, D.C.
Sarah, Friend of ASK, lives in the Charlottesville, Virginia area. Sarah was a teacher at Buckland Mills Elementary School and a Professional Development Specialist in Prince William County Schools (PWCS), Manassas, Virginia. In this position, Sarah facilitated the design process for a new division-wide standards-based supervision and evaluation system, supervised the Just ASK Certified Local Training (CLT) Program of 30 CLTs who taught Why Didn’t I Learn This in College?® (aka Teaching and Learning in the 21st Century) to all new teachers in PWCS, and led the redevelopment of the PWCS mentor program based on Mentoring in the 21st Century®. She also coordinated programming and state funding for the PWCS schools identified as underperforming by the Virginia Department of Education and collaborated in the creation of multifaceted professional development supporting the organizational development of ten thousand employees. Sarah earned her undergraduate degree in Elementary and Special Education at Purdue University. She has also served as a board member of the Virginia Staff Development Council. Brenda, Just ASK Senior Consultant and author, lives in Northglenn, Colorado, a suburb of Denver. She is working with school districts in Colorado, Illinois, Nebraska, New Mexico, New York, Ohio, and Texas. A focus of her work is helping districts create long term, multifaceted professional development programs. She leads the workshops Leading the Learning®, Instruction for All Students™, Why Didn’t I Learn This in College?®, Meeting the Needs of Diverse Learners®, Creating a Culture for Learning®, and our Mentoring in the 21st Century® Institutes. She was the project coordinator and a presenter for the Just ASK Creating a Culture for Learning® Summits in Las Cruces, New Mexico. Prior to joining Just ASK, Brenda was the Director of Professional Development in St. Vrain Valley School District, Longmont, Colorado. Before assuming that position, she was Director of Professional Development in Brighton Public Schools, Colorado. Brenda holds a Bachelor of Arts in Elementary Education from Adams State College, a Master of Arts in Elementary Education from the University of Northern Colorado, and Professional Certification in Educational Administration from the University of Denver. Brenda has been an active member of the Learning Forward for many years and has worked extensively with their Academies. Articles by Brenda have been published in The Learning Journal (formerly JSD), the journal of Learning Forward (NSDC), and in Colorado Staff Development Council publications. 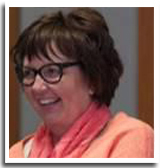 She is a co-author of Creating a Culture for Learning and the editor of Results-Based Professional Development Models originally published by St. Vrain Valley School District, Longmont, Colorado. Additionally, Brenda is the director and producer of Just ASK’s TL21 DVD series. She is fluent in Spanish. Contact Brenda at brenda@justaskpublications.com or 800-940-5434. Julie McVicker, Just ASK Senior Consultant and author, lives in Longmont, Colorado. She works with school districts in Colorado, Florida, Georgia, Iowa, Tennessee, and Texas where she helps districts develop long-term, multifaceted professional development plans that include our Mentoring in the 21st Century® Institute and our workshops Why Didn’t I Learn This in College?®, Instruction for All Students™, and Meeting the Needs of Diverse Learners®. She is a co-author of Creating a Culture for Learning. Prior to joining Just ASK, she was the Director of Priority Schools in St. Vrain Valley School District, Longmont, Colorado. Her responsibilities in that position included coordinating the K-5 Literacy Department, supervising elementary principals, working with schools on closing the achievement gap, and leading systemic change. Earlier, she was principal of elementary schools in St. Vrain Valley School District, Adams County School District, and Burlington School District, Colorado. She has also served as a District Migrant/ELPA Education Coordinator, Gifted and Talented Coordinator, and staff developer. Bilingual education and ESL strategies are areas of focus in Julie’s work. She earned a Bachelor of Arts from the University of Northern Colorado, Greeley, Colorado, and Master of Arts at Western State College, Gunnison, Colorado. Contact Julie at julie@justaskpublications.com or 800-940-5434. Bruce, Just ASK Senior Consultant and author, lives in Burke, Virginia. He is the author of Just for the ASKing!, the highly acclaimed monthly e-newsletter published on the Just ASK website. 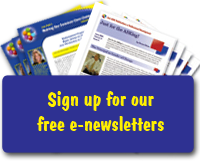 Over 13,000 educators subscribe to this newsletter. He is also the author of Points to Ponder and a co-author of Creating a Culture for Learning. Bruce is co-authoring a book with Paula Rutherford, Making Assessment a Learning Experience (publication Spring 2019). Bruce uses the knowledge, skills, and experience he acquired as a teacher, professional developer, mentor, and middle school principal as he works with school districts in Arizona, Illinois, Maryland, North Carolina, New Jersey, Tennessee, Texas, Virginia, Washington, D.C., and Wisconsin. He works at the district and school level with leadership on establishing professional learning communities and leading in a standards-based environment. Areas of focus for instructional staff include teaching and learning in a standards-based environment, making assessment a learning experience, meeting the needs of diverse learners, and new teacher induction. Bruce has made multiple presentations at the Virginia ASCD and VSDC conferences, including the keynote at the VASCD Fall Conference. He delivered keynote addresses at two Creating a Culture for Learning® Summits in Las Cruces, New Mexico, and the Bremen County Public Schools District 228, Illinois, Opening of School Institute. He also made two presentations at the AMLE (National Middle School Association) conference in Baltimore, Maryland. He holds a Master of Arts in Education from Virginia Polytechnic Institute and State University and a Bachelor of Arts in Sociology and Anthropology from the College of William and Mary. Subscribe to Just for the ASKing! Contact Bruce at bruce@justaskpublications.com or 800-940-5434. Ronni Reed, Friend of ASK, lives in Port Saint Lucie, Florida. She retired in 2011 from her position as Staff Development Leader in the Monmouth County Vocational School District, Freehold, New Jersey. In that position, Ronni planned and delivered professional development for over 325 staff members, developed and oversaw the District’s induction and mentoring program, and wrote and implemented the District’s Equity Plan/NCLB Grant. Additionally, Ronni has been president of the New Jersey Learning Forward, and president the New Jersey Career Development Association; she has served on four New Jersey State Advisory Boards on teaching, mentoring, alternate route, and transforming schools. Other professional development responsibilities have included the design and implementation of a New Jersey State model for delivery of survival/life skills and chair of the Monmouth County Professional Development Board overseeing 54 district professional development plans. Ronni earned a Master of Art in Counseling from Michigan State University and a Bachelor of Science in Education from Temple University. She holds certification in elementary education, student personnel services, and supervision. Ronni represented Just ASK as a consultant in New Jersey and New York after her “New Jersey” retirement and before her “ultimate” retirement to Florida. She now serves on the Learning Forward Board of Directors. Mike, a Just ASK Associate, lives in Bangkok, Thailand, where is affiliated with the International School Bangkok (ISB). During school year 2018-2019, Mike is serving as the high school librarian and instructional technology coordinator. Prior to his move to Bangkok, Mike was Vice President for Business Development, Just ASK; Senior Manager of K-12 Sales, Blackboard, Inc.; Supervisor of Instructional Technology, Manassas City Public Schools, Virginia; and Pyramid Technology Training Specialist, Fairfax County Public Schools, Virginia. He earned a Master of Education specializing in instruction technology from George Mason University and a Bachelor of Science in Education from Indiana University. Mike made a presentation at Dreamforce 2017 in San Francisco on the use of Salesforce as a communication and feedback tool for classroom teachers. Contact Mike for Just ASK workshops and for workshops focused on the athletic classroom, integration of technology, and technology-related topics such as Google Apps for Parents and Being a Technology Savvy Parent in the 21st Century: Mike@justaskpublications.com or 800-940-5434. Paula, President, Just ASK Senior Consultant and author, lives in the Washington, D.C. area. She is the author of multiple books including Why Didn’t I Learn This in College?, The 21st Century Mentor’s Handbook, Instruction for All Students, Leading the Learning: A Field Guide for Supervision and Evaluation, Meeting the Needs of Diverse Learners, and Active Learning and Engagement Strategies. She is a co-author of Creating a Culture for Learning. Paula is also the developer of the New Teacher Professional Development Kit and the Mentoring in the 21st Century® Resource Kit. Paula’s presentations of note include Meeting the Needs of Diverse Learners® and Mentoring in the 21st Century® Institutes in Washington, D.C., Chicago, Los Angeles, Orlando, and Dallas. She is proud to have been a member of the faculty of the Association of California School Administrators (ACSA) Principals’ Center Summer Institutes at UCLA for 16 years. Paula has led pre-conferences at Learning Forward’s (NSDC) Conferences, ACSA’s Annual Conferences and Leadership Summits, the Kentucky Association of School Administrators’ Annual Conference, and keynotes at the Dallas Public School Mentoring Symposium, the Virginia Staff Development Council’s Annual Conference, and the Rigor, Relevance, and Relationships Leadership Conference hosted by Cypress-Fairbanks ISD, Texas. Paula holds a Master of Education with an emphasis on Special Education from the University of North Florida, and has completed post-graduate course work in administration and educational leadership at the University of Virginia, Virginia Polytechnical Institute and State University, and George Mason University. Additionally, she holds a Bachelor of Science in Secondary Education from the University of Oklahoma. She was awarded an honorary Doctorate of Education by MacMurray College, Jacksonville, Illinois, as well as the Outstanding Achievement Award for Excellence in Education by the College of Education at the University of Oklahoma. She has been a history and social studies teacher, a physical education teacher, a kindergarten teacher, a special education teacher, coordinator of special education programs, a school administrator, and professional development specialist in school districts across the country. Contact Paula at paula@justaskpublications.com or 800-940-5434. Sherri, Just ASK author, lives in the Denver, Colorado area. She recently led multiple sessions on using data to inform practice at the Just ASK Creating a Culture for Learning Summits® in Las Cruces, New Mexico and worked with Westminster Elementary School, Adams County School District 50, Colorado, on a long term professional development project. She worked with ECOT, the Electronic Classroom of Tomorrow, an online school headquartered in Columbus, Ohio, on using data to inform instructional decisions. Sherri recently retired from St. Vrain Valley School District in Longmont, Colorado, where she was Executive Director, Assessment and Curriculum. Since her “retirement” she has served as interim principal of Carbon Valley Academy Charter School in Frederick, Colorado, and coordinator of charter schools for St. Vrain Valley School District. She is a co-author of Creating a Culture for Learning. Sherri holds a Master of Education from Colorado State University and a Bachelor of Arts from the University of Northern Colorado. Sherri’s professional experiences include not only extensive leadership in assessment but eight years as Mathematics Coordinator in St. Vrain. Sherri was most recently the interim principal at the Carbon Valley Academy Charter Schools in Frederick, Colorado. Additionally, she served as President of the Colorado Association of Educational Evaluators, served on the Colorado Standards Committee that developed the math standards for Colorado, and taught graduate courses at Adams State College, Colorado State University, and the University of Colorado, Denver. Louise, Just ASK Consultant Emeritus, lives in Boston, Massachusetts. Louise coordinated Just ASK’s work in New England for over 25 years and was instrumental in helping schools in Massachusetts revise their supervision and evaluation systems. She also played a key role in guiding the International School of Beijing and Fairfax County Public Schools, Virginia, as they built in-house capacity. She presented on numerous occasions at the Harvard Principals’ Center Summer Institutes and made presentations for the New Zealand Principals’ Summer Institute. Louise worked extensively with the Ministry of Education in Singapore. Prior to joining Just ASK, Louise was a founding consultant with Research for Better Teaching (RBT) and the Assistant Superintendent for Curriculum and Instruction for Brookline Public Schools, Massachusetts. Earlier in her career, she was an instructor for Northeastern University, Boston, Massachusetts, and Director of Guidance and Director of Elementary Summer School for Dubuque Community Schools, Iowa. Louise holds a Bachelor of Arts in Mathematics from MacMurray College, a Master of Education in Guidance and Counseling from the University of Illinois, and a Doctorate of Education in Counseling Psychology from Boston University. She also holds an honorary Doctor of Humane Letters from MacMurray College. Theresa, Just ASK author and leadership coach and consultant, Doherty West Coaching and Consulting, lives in Fall Church, Virginia. She is a co-author of Creating a Culture for Learning, a text that districts are using to build productive learning communities where all the adults are committed to the success of both students and colleagues. The book features an in-depth look at the work Theresa led at McNair Elementary School, Fairfax County Public Schools, Virginia. In addition to district-based work, Theresa led conference sessions such as “Leading the Learning and Creating High Expectations for Student Achievement” at the National Association of Elementary School Principals (NAESP) Annual Conference and “Leading the Learning in Turnaround Schools” at the Learning Forward Annual Conference. She also made multiple presentations at Just ASK’s Creating a Culture for Learning® Summits in Las Cruces, New Mexico. Theresa earned a Doctor of Education in Educational Leadership and Policy and a Master of Arts in Education from Virginia Polytechnic Institute and State University and a Bachelor of Arts in Liberal Studies with a bilingual/bicultural emphasis from California State University at Chico, California.